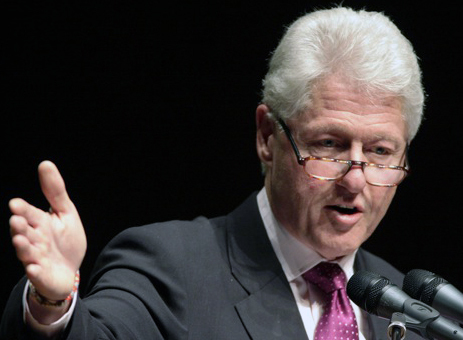 Bill Clinton was interviewed on CNBC’s “Closing Bell with Maria Bartiromo” this past Friday and made a proposal which deserves some discussion; Bill Clinton is concerned with the sheer volume of rumor and misinformation which exists on the internet. This is indeed a problem that many of us have with the internet, particularly the ability of misinformation to be seen by some as fact simply by sheer volume. However Clinton has an innovative solution which is both naive and of great concern. He has prepossessed that the United Nations ideally, or the US government if the UN was unable to act, would set up an autonomous agency to combat internet misinformation. When I read about this in the Politico I took a double take to see if I in fact had read the article correctly. This was one of those articles which was even more concerning the more the magnitude and implications of the former president’s suggestion was considered. The mere existence of any government agency which had as its mandate to determine truth in what has become a global forum congers the image of third world dictators or the Chinese Communists who attempt to control what their people read on the internet. Clinton was vague as to the powers of this global internet cop, but even if it was just there to “correct” misinformation is beyond disturbing. He went to pains to say this agency must be run by an independent administrator who would be both respected and seen as independent from any government. Yet the concept of a government stepping into tell the media what it truth and what is misinformation is offensive in any democracy. Of greatest concern is his proposal to have the United Nations be the “government” which would empower and manage this agency. The UN is not a government and lacks any authority to act as one. One of the most significant legal debates in the United States in recent years has been the relevance and authority of foreign legal positions on US law. Under our Constitution the answer would appear simple, there is in fact no role and the constitution itself is the highest legal authority in America. One cannot imagine any such agency surviving a judicial review as to its constitutionality under the first amendment. Freedom of speech, even offensive and questionable speech, is fundamental in any democracy, period. Clinton’s proposal also displays his ignorance of the manner in which the internet operates. The Chinese Communists have been trying to control the ability of their citizens to access content critical of the regime or calling for democratic reform. As quickly as a barrier is put up, those seeking freedom find a way around the blockage. Indeed none other than Secretary of State Hillary Clinton backed efforts to help internet dissidents in China to break down the government’s “Great Firewall” several months ago. Attempting t block information on the interne t is like putting your figure in a Mississippi levy to stop the approaching flood. He also neglects the internets tendency to correct itself by the sheer volume of discussion and analysis by the many choices in existence. One need only look to the development of Wikipedia which has been manipulated with misinformation, yet over time it is corrected by the volume of contributors in a collaborative process. What was in Clintons mind when he made this proposal is imposable to know but it must be taken very seriously by those who value freedom. Government censorship if a cancer on democracy and must be fought and defeated wherever it raises its ugly head. Furthermore the viewing of the United Nations as some form of Global Government is a concept which must be rejected in the most definitive way. If Bill Clinton truly meant this then he has taken a step in a direction which is dangerous to our very democracy. ← Huck Ducks Out…..Now Who?